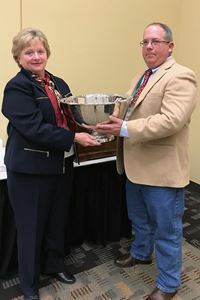 SNA President Norman Cole, III, (right) presents Dr. Donna C. Fare (left) with the Slater Wight Memorial Award at the 119th SNA Annual Business Breakfast January 9, 2018. 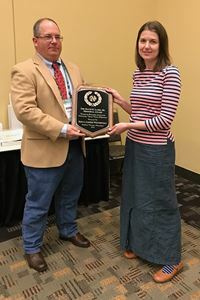 SNA President Norman Cole, III, (left) presents Sonya Lepper Westervelt (right) with the David E. Laird, Sr., Memorial Award at the 119th SNA Annual Business Breakfast January 9, 2018. 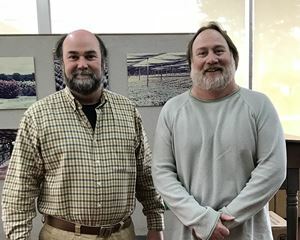 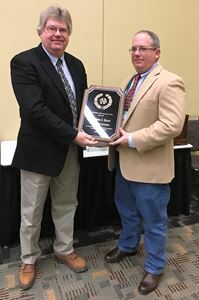 Brothers Bob LeGette (left) and Ken LeGette (right) of Graco Fertilizer Company, Cairo, Ga, are the recipients of the 2018 SNA Pinnacle Award. 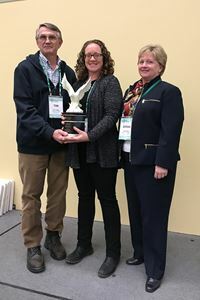 Previous award winners Dr. Tom Yeager (left) and Dr. Donna Fare (right) present the SNA Environmental Award to Dr. Sarah White at The SNA Conference on January 9, 2018. 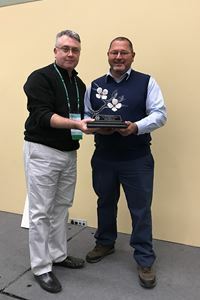 Dr. Marc van Iersel, University of Georgia, Athens, GA is the recipient of the 2018 Porter Henegar Memorial Award. 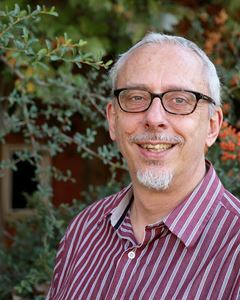 Dr. van Iersel was nominated for this prestigious award by his research peers. 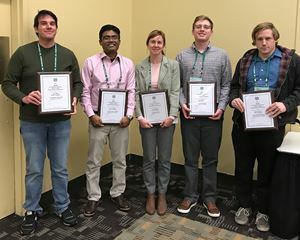 Five students were presented cash awards for their presentations at the Bryson L. James Student Competition held during the 62nd SNA Research Conference.